UCF survived a scare at SMU on Saturday night, escaping with a 31-24 victory. The Knights (8-0, 5-0 AAC) are now No. 12 in the Coaches Poll, 14 in the AP Poll and 18 in the College Football Playoff Rankings. They return home next week for a matchup against UConn. Before getting to that, what else went down around the AAC in week 10? This late in the season, the contenders in both AAC divisions are already set. In the AAC West, Memphis still looks like the team to beat. The Tigers have dominated since falling to the Knights in Orlando at the end of September. Behind Memphis, though, is a very good SMU team. The Mustangs pushed the Knights to their limit and a second AAC loss means nothing as long as they continue to win. A victory over Memphis in two weeks would likely propel SMU to the conference title game. Houston and Navy are too far behind at this point, but are still going to play a bowl game. The same can’t be said for Tulsa, while Tulane needs to win out to get to that six-win mark. Yes, the AAC East is still coming down to Black Friday. USF bounced back from its stunning loss with an easy road win over UConn, while UCF fought off the toughest test it will get before hosting the War on I-4 rivalry game. Bowl eligibility doesn’t seem too likely for UConn, East Carolina or Cincinnati, but after an upset win over Navy, Temple’s chances improved a bit. With only a few weeks left before the AAC title game, it’s clear that the easiest path to a New Year’s Six bowl game is to win out. 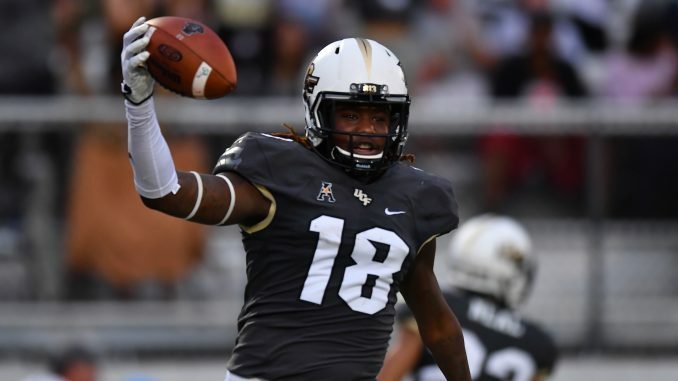 UCF controls its own destiny, but a loss could easily derail those high hopes and open the door to USF, Memphis or possibly SMU.